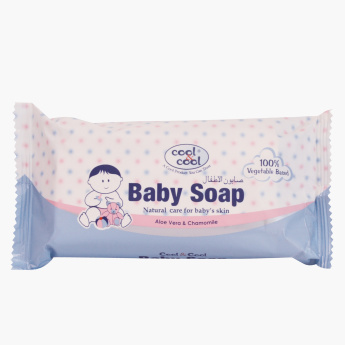 Mild and gentle on your angel's skin, this baby soap is an ideal choice for regular use. Boasting a natural blend of essentials oils, the soap gently cleanses and moisturises the skin. Feature 2 : 100% Vegetable Base.